Buy HY172C integrated oil press with roaster/oil expeller/oil mill - Shandong Leader Machinery Co.,ltd. The machine is one new Environment Protection Combined oil press machine which is designed by our engineer recently, and only one machine you can get pure sesame oil with no pollution, no chemical reagent. 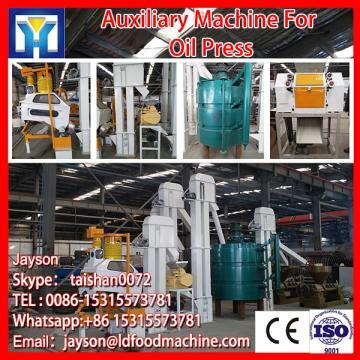 The Combined oil press includes cooking pan (it is difficult to control the cooking temperature by hand, cooking pan can control the temperature automatically), the oil press machine, and the oil filter press. Cooking pan can control the temperature automatically and when it reaches a certain degree, it will stop cooking, and the cooking pan heated by electricity can reduce the smoke (use the firewood to heat it, more smoke), avoid getting the worse sesame oil. The oil filter could improve the quality of sesame oil. This machine can automatically cook the materials, small and easy to be carried by truck for protection against environment, moving in on-site process of market, farm trade market, mainly used in processing sesame, rapeseed and peanut etc. For the whole HY172C integrated oil press with roaster/oil expeller/oil mill,warranty is 12 months,within 12 months,if have equipment quality problems,we will provide accessories freely. After the expiration of the warranty period,if have spare parts problem,we only receive the cost of required replacement parts.We commit we will provide free technical support of equipment all whole life. Our company has engaged in producing and exporting HY172C integrated oil press with roaster/oil expeller/oil mill for many years, and until now, our machine has exported to overseas market, such as Brazil, India, Indonesia, Russia, Thailand and so on, and get the foreign customers' unanimous praise. We believe that you purchase Shandong Leader Machinery Co.,ltd. HY172C integrated oil press with roaster/oil expeller/oil mill is your best and sensible choice.